Youtube video "Stress concentration near stiff inclusions" about validation of rigid inclusion model and boundary layers by means of photoelasticity. 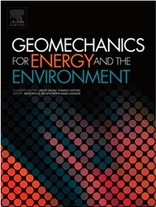 Preface to the Special Issue of the Geomechanics for Energy and the Environment containing selected papers presented at the Special Session dedicated to Prof. Tomasz Hueckel, organized by D. Bigoni, A. Gajo, L. Laloui, G. Maier, Z. Mróz and S. Pietruszczak within the CERMODEL2015 congress in Trento. In Geomechanics for Energy and the Environment. Gajo, A, Cecinato, F., Loret, B. (2017). A general computational framework for immiscible three phase flow in deformable porous media. Madaschi, A. Gajo, A. (2017). A one-dimensional viscoelastic and viscoplastic constitutive approach to modeling the delayed behavior of clay and organic soils. Papathanasiou, T.K., Gourgiotis, P.A., Dal Corso, F. (2017). Gajo, A., Cecinato, F. (2016). Thermo-mechanical modelling of rock-like materials at very high temperature: Application to ceramic refractories. Journal of the European Ceramic Society 36, 2193-2204. Madaschi, A., Gajo, A. (2016). A two-yield surfaces, viscoplastic constitutive model for ceramics and geomaterials. Journal of the European Ceramic Society 36, 2223-2234. Journal of the European Ceramic Society 36, 2329-2340. Journal of the European Ceramic Society 36, 2351-2362. Madaschi A., A. Gajo (2015). One-dimensional response of peaty soils subjected to a wide range of oedometric conditions. A. Madaschi, A. Gajo (2015). Constitutive modelling of viscous behaviour of soils: a case of study. Geomechanics for Energy and the Environment, 4, 39-50. S. Muraro, A. Madaschi, A. Gajo (2015). Passive soil pressure on sloping ground and design of retaining structures for slope stabilisation. Gajo, A., Bigoni, D. (2015). Geomechanics for Energy and the Environment, 4, 29-38. Deseri, L., Owen, D.R. (2015). International Journal of Engineering Science, 96, 111-130. Journal of Elasticity, 122, 223-230. A micro-scale inspired chemo-mechanical model of bonded geomaterials. International Journal of Rock Mechanics and Mining Sciences , 80, 425-438. Cecinato, F., Loveridge, F. (2015). Influences on the thermal efficiency of energy piles. Cecinato, F., Gajo, A. (2014). Dynamical effects during compaction band formation affecting their spatial periodicity. Journal of Geophysical Research - Solid Earth, 119 (10), 7487-7502. Deseri, L., Gentili, G., and Golden, J. M. (2014). New Insights on Free Energies and Saint-Venant’s Principle in Viscoelasticity. International Journal of Solids and Structures, 51 (19-20), 3382-3398. F. Poltronieri, A. Piccolroaz, D. Bigoni, S. Romero Baivier (2014). Deseri, L., Owen, D.R. (2014). Stable disarrangement phases of elastic aggregates: a setting for the emergence of no-tension materials with non-linear response in compression. Cecinato, F., Piglialepre, R., Loveridge, F., Nicholson, D. (2016). Numerical analysis of thermal cycling during a multi-stage energy pile thermal response test. Cecinato, F., Loveridge, F., Gajo, A., Powrie, W. (2015). A new modelling approach for piled and other ground heat exchanger applications. Proceedings of the 23rd European Young Geotechnical Engineers Conference, September 2-5, 2014, Barcelona, Spain. Thermo-mechanical modelling of refractories at very high temperature. Cecinato, F., Piglialepre, R., Loveridge, F., Nicholson, D.
Identification of input parameters required for Abaqus UMAT subroutines. Numerical treatment of the inelastic behaviour of refractory materials. Finite element simulation of pre-cracked micropolar media subjected to thermal shock with applications to refractories. Cecinato, F., Loveridge, F., Gajo, A., Powrie, W.
Elastoplastic modelling of ceramic materials at high temperature. On the thermoelastic response of a gradient elastic half-space subjected to thermal shock on the boundary. 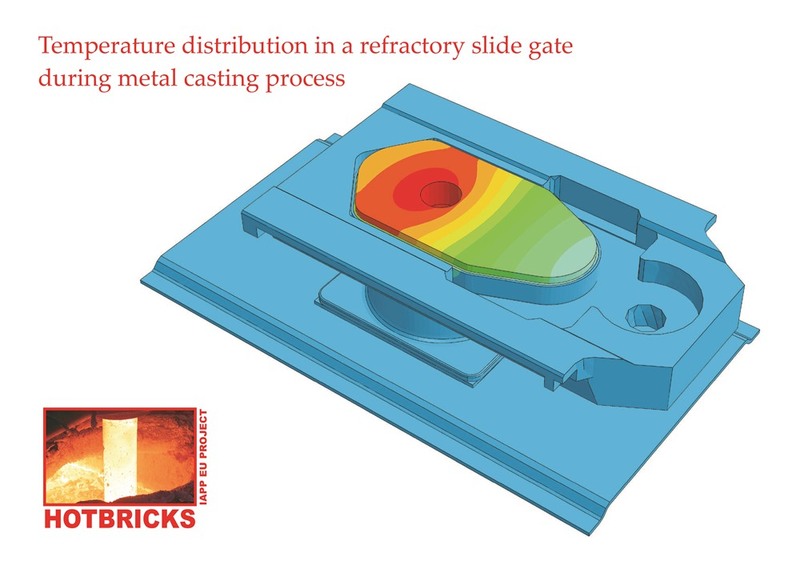 Computational thermoplastic modelling of refractory materials. The contact problem of a rigid flat punch indenting a couple-stress thermoelastic half-space. Contact regimes during heat conduction through a microstructured solid. A thermomechanical contact problem for microstructured solids. A numerical model for energy-efficient design of geothermal systems. Poltronieri F., Piccolroaz A., Dal Corso F., Romero Baivier S.
Zisis T., Dal Corso F.
Nonlinear modelling of refractories undergoing thermal shocks. Department of Mechanical Engineering, University of South Florida, January 21, 2016 - Tampa (Florida - USA). Analysis of dynamical effects during compaction band formation. School of Petroleum Engineering, University of New South Wales, June 16, 2015 - Sydney (Australia). Metrology Day - Giornata dei Musei, Museo della Bilancia, May 20, 2015 - Campogalliano (Modena, Italy). Thermal effects in the contact of flat punch with a couple-stress material. Department of Systems Innovation, The University of Tokyo, September 9, 2014 - Tokyo (Japan). Non-local effects in a thermo-elastic contact problem. Department of Materials Science and Technology, Tokyo University of Science, September 8, 2014 - Tokyo (Japan). The thermo-elastic problem of a flat punch indenting a microstructured medium. Department of Aeronautics and Astronautics, The University of Tokyo, September 5, 2014 - Tokyo (Japan). Thermo-mechanical modelling of refractories at high-temperature. Department of Adaptive Machine Systems, Osaka University, August 29, 2014 - Osaka (Japan). Instabilities during contact at high-temperature. "Enhanced Geothermal Reservoirs: Impedance and Efficiency of Thermal Recovery"
"Energy Piles: Past, Present & Future"
"Dissipation-induced instabilities in the Taylor-Couette flow of a liquid metal"
"New biomimetic mechanically competent devices for bone regeneration"
"Chemo-mechanical processes in geomaterials: concepts & modeling"
"Experimental evidence of electro-thermo-elastic coupling in quasi-brittle materials for energy applications"
"Problems with the Finite Element implementation of anisotropic elasticity"
"Interaction of Cracks with Dislocations in Couple-Stress Elasticity"
"Characterization and modeling of the mechanical behaviour of ceramics and refractories"
"Thermo-mechanical issues in Steam-Assisted-Gravity-Drainage (SAGD)"
"Non-local dynamic homogenization for the characterization for acoustic waves within periodic materials"
March 20-21, 2014 - Course "Martensitic microstructures: interfaces, size effects and multiscale modelling" (Trento, I). 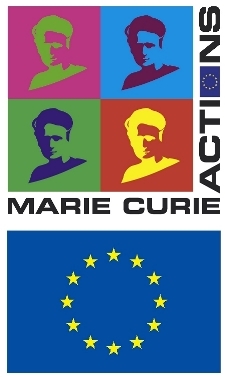 March 18-19, 2014 - Course "Contact mechanics" (Trento, I).